I promise to do a recap on the justification for the companion plantings soon, but I want to show the progress of the plants so far. 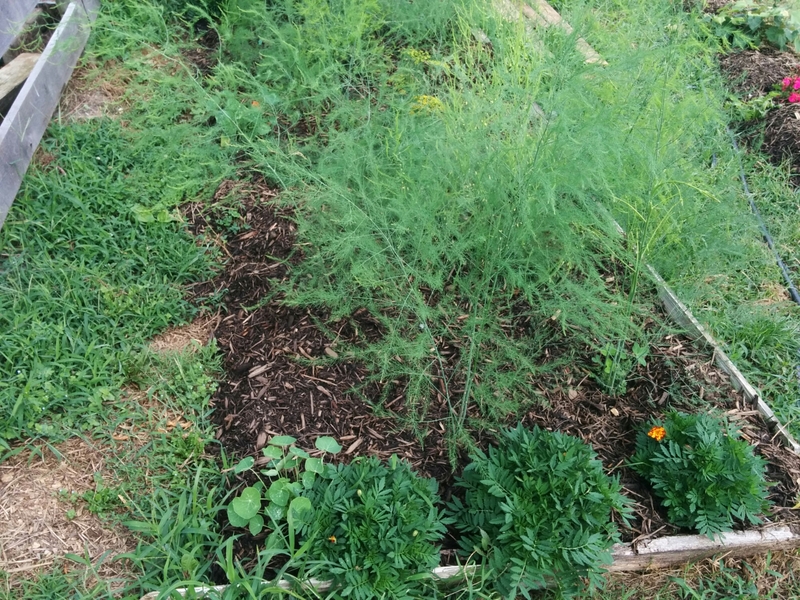 Before I begin, I want to state a few general companion plants that I use everywhere. Clover is planted with all of the nitrogen hungry plants, especially hops. I also mulched around the persistent clover in the asparagus and blueberry beds as they too are pretty heavy feeders. 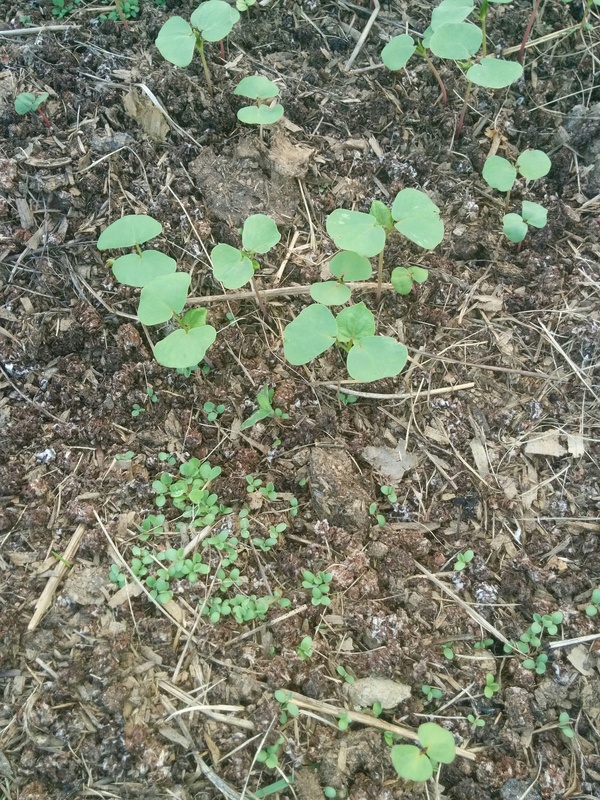 In the fallow garden beds, I grow clover under buckwheat to utilize the nitrogen fixation of the former along with the immense soil conditioning properties of the latter. Both provide nectar to my honeybees as well as native pollinators. Now for the specific cases. Strawberries, bay laurel and yarrow with blueberries. 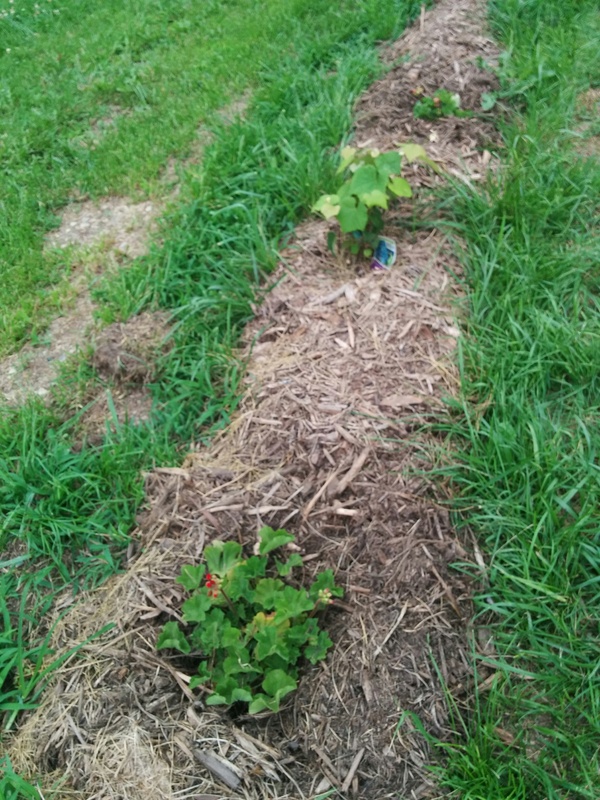 Strawberries were a partial failure because I let the bareroot shipment begin rotting before planting and yarrow is a failure as it never germinated… or I misidentified them with weeds and either pulled them or chopped them with a weedwacker while trimming the garden aisles. Genus Persicaria but species unknown. When it flowers I should be able to determine the species. 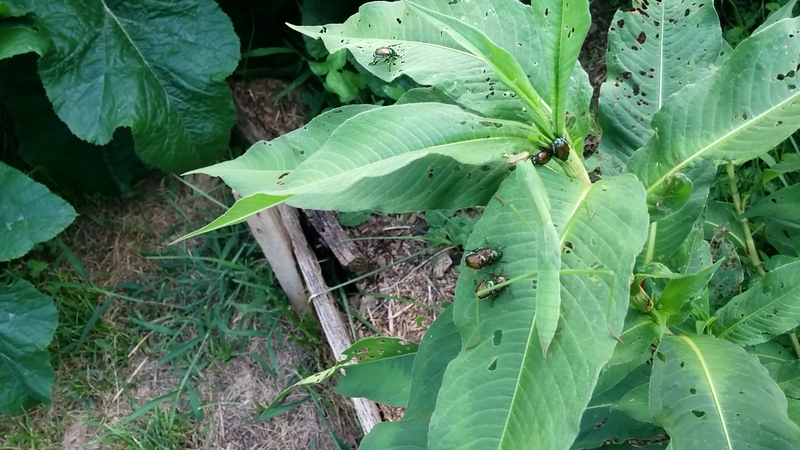 This weed has drawn most of the japanese beetles. I will let it grow wherever it pops up as it allows me to more tightly focus my soapy water extermination efforts of said beetles.